The Computer Science and Engineering department imparts quality education along with bestowing our students with a stimulating and enabling learning environment. The department boasts of eclectic blend of Dedicated and learned faculty members, top-notch learning resources and robust teaching practices crucial for meeting the challenges of today’s cut throat competitive world. The academics are further buttressed by slew of programs and events designed to broad base students learning within and outside of the cozy confines of the class rooms. The department is committed to investing in developing the all-round personality of the students and prepares our students to make a name in the sun. We, at CSE foster innovation and creativity by recalibrating and re-orienting our programs and events though strait- jacketed by our limited freedom in setting the curriculum and syllabus. The emphasis we place on Value Added courses, placement and training in various software platforms holds the key to our student’s successful placements records every year. Aside from the academics, the heavy bias on promoting social and ethical values is the bedrock of our department helping our students contributes their mite towards national building. 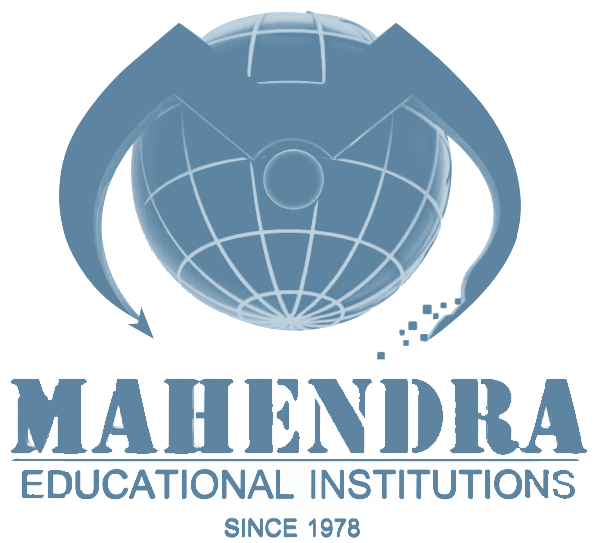 To accomplish high standard of quality education in tandem with the evolving technologies and to develop a technical manpower of a very high caliber in computer science engineering, nurture leadership and research qualities and inculcate strong values. To impart quality training with a emphasis on design, analysis and implementation of computational systems. To develop a pathway for the graduates to be Industry ready and self-reliant and to forge a strong links with industry through tie ups and collaborative work . To instill strong values through Curricular and Extracurricular activities. To motivate students towards higher education through Research and Development activities. Sound knowledge and Expertise in STEM (Science Technology engineering and mathematics) to be applied in computer Science and to demonstrate capabilities in new & emergent technologies like Big data, Data analytics, Cloud computing and IOT (Internet of Things). Exhibit a strong sense of integrity and technological prowess that nurtures innovation and communication and strong team management skills to guide the team they work with and bring their ideas to fruition. A very strong expertise gained through continuous performance and co-curricular activities to boost their employability. Ability to understand the rudiments of hardware and software concepts in a computer system and to develop expertise in mathematical models, algorithms and computational techniques and to provide a pathway for higher studies, cutting-edge research and entrepreneurship. Ability to develop a sound knowledge in programming languages and by applying open source platforms and emergent technologies like Big data, Data analytics, Cloud computing and IOT (Internet of Things) and to develop computerized solutions to the real life problems. The Engineer and society:: Apply reasoning informed by the contextual knowledge to assess societal, health, safety, legal and cultural issues and the consequent responsibilities relevant to the professional engineering practice. The department is home to commodious laboratories, well equipped with hardware and software facilities required by the students to perform the necessary experiments as per the prescribed curriculum of Anna University and beyond the curriculum. Experiments are designed in a manner that the students gain deeper understanding of the concepts they learn in the theory sessions. The Underlying objective of the lab is to sensitize students in emerging technological trends. The lab is spread around a space of 100 sq.m with air condition facility. The college houses seven laboratories and each lab is Inter-networked. Software such as Java, .NET and Python are used by both faculty and students for both design and development of cutting-edge applications. The students are provided unhindered access to the Internet to work on their projects and presentation. Regular Upkeep of equipment is undertaken at the end of every semester. Breakdown register is strictly maintained in the laboratories. Major repairs are outsourced by adopting the due procedure of the institute. The CSE Department regularly conducts national conferences, seminars, student symposia, short-term training program and value added courses. Guest Lectures by experts from both academia and Industry are organized at regular interval. The students of CSE Undergo training in the remit of soft skills, communication, aptitude and logical reasoning, group discussions, and technical domain. Corporate Trainer and Chairman, Helikx Open School and Learning Centre, Salem.